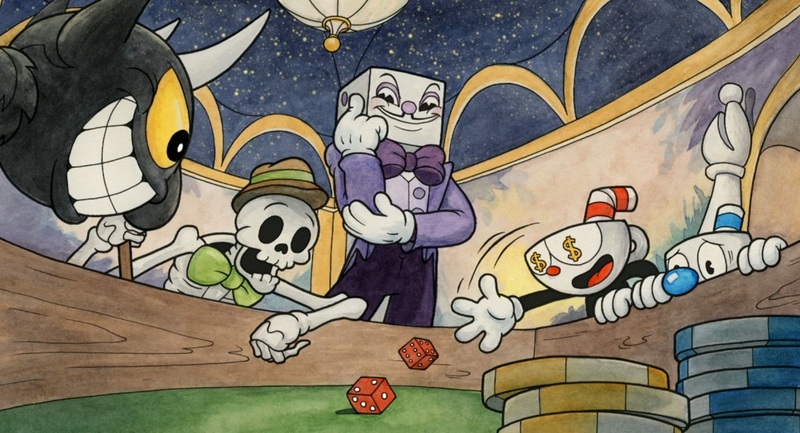 While Cuphead has become known for its punishing difficulty, the game’s wide variety of purchasable items are always there to help make things more approachable. Granted, the items in Cuphead can only do so much to help you get through the game. In order to purchase items, you’ll need to collect coins and turn them in at Porkrind’s Emporium. There, you’ll find that all of the items in Cuphead are broken up into 3 different categories: Shot, Charm, and Super. To change item loadouts in Cuphead, all you need to do is press the Equip button while viewing the overworld map. Doing so will bring up the equipment page, where you can mix and match any combination of Shot, Charm, and Super items that you prefer. Keep in mind, though, that you’re limited to two Shot, one Super, and one Charm at a time. With the basics out of the way, let's take a closer look at all of the available items in Cuphead and what they do! Below, you'll find details on all of the items available for purchase in Cuphead. In Cuphead, there are six different Shot items available for purchase. 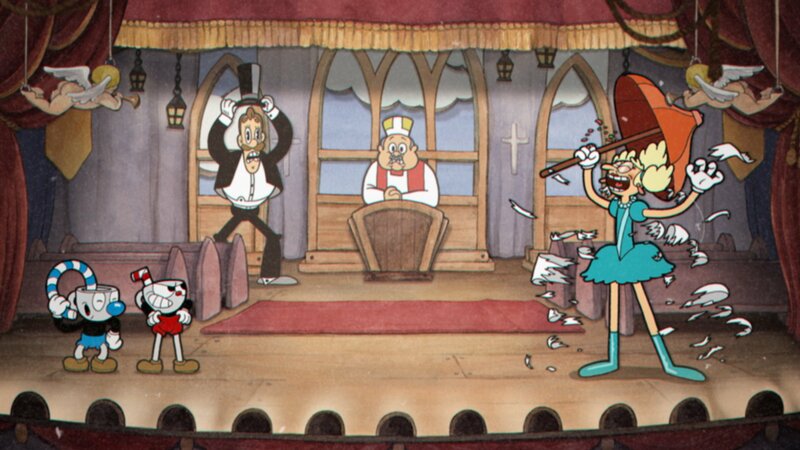 Each Shot item in Cuphead alters how you fire as well as your EX. Peashooter (Start): Default Shot weapon. Boasts long range and average damage. Chaser (4G): Long range, below-average damage. No aiming required. Spread (4G): Short range, and excellent damage as long as your aim is steady. Roundabout (4G): Great coverage, average damage. Aim backwards for max range. Lobber (4G): Medium range, decent damage. Slower rate of fire. Charge (4G): Hold Attack to increase damage. No rapid fire. Charm items in Cuphead grant helpful abilities. In Cuphead, there are six different Charm items available for purchase. Each Charm item in Cuphead acts as a passive/active ability. Heart (3G): This Charm adds an additional hit point, but weakens your attack power. Smoke Bomb (3G): This Charm makes it so that you don’t take damage during a dash. Coffee (3G): This Charm makes it so that your super meter continuously fills in addition to what you earn normally. Whetstone (3G): This Charm allows your first parry move to double as a damaging axe attack. P. Sugar (3G): This Charm makes your first parry move automatic. All you have to do is jump. Twin Hearts (5G): This Charm adds two additional hit points, but weakens your attack power. 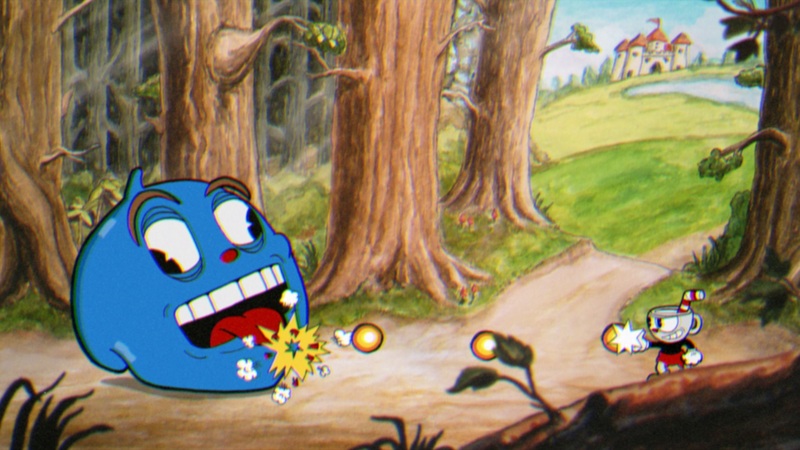 Super items in Cuphead can help you out in tricky boss battles. In Cuphead, there are three different Super items. Super items cannot be purchased in Cuphead. Instead, they are earned after completing Mausoleum challenges. Each Super item in Cuphead gives your character a special ability that can be triggered at full power (5 cards). Energy Beam (Complete Mausoleum I): This Super conjures a devastating attack that spills from your head. Invincibility (Complete Mausoleum II): This Super allows you to cross the astral plane and become invulnerable for a short period of time. Giant Ghost (Complete Mausoleum III): This Super allows you to maneuver your spirit and body at the same time for maximum damage output. There you have it, a look at all of the items available for purchase in Cuphead. What’s your perfect item setup? Let us know what items you’re rocking down in the comments below! Having trouble with the parry slap in Cuphead? Click here to check out our complete guide to parry slapping in Cuphead! By reading through this guide, you should now know what all of the items available for purchase are in Cuphead, and what they do.